10 Of The Most Popular Destinations In Italy! Italy is one of the world’s most highly regarded and sought after travel destinations. It’s home to twenty regions and countless cities that all boast art, culture, cuisine, architecture, and history. When planning a trip to Italy, travelers can choose historic cities, modern meccas, and secluded, rustic countryside views. But of all the amazing places to see in Italy, the following ten destinations stand out, offering truly unique and captivating experiences. 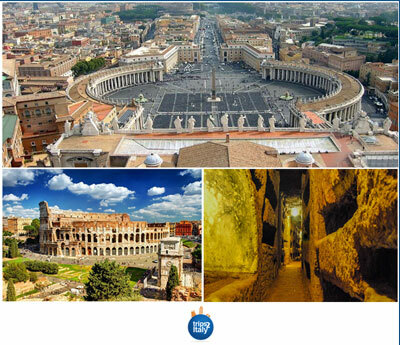 Located in the region of Lazio, Rome is not only the capital of Italy but also the capital of Italian tourism. Attracting millions of visitors each year, Rome is a must-see for travelers visiting Italy for the first time, because of its historical and cultural significance and vast sightseeing opportunities. 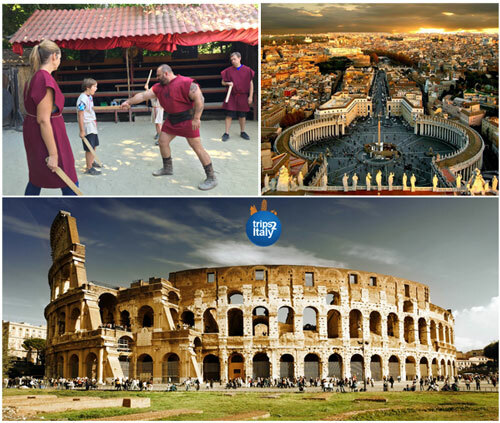 Rome is also a modern, bustling city filled with vibrancy and a zest for life. In the neighborhood of Trastevere, travelers can experience the best of Rome’s modern life, including charming coffee shops, local Osterie (restaurants which serve traditional, homemade dishes), and happening wineshops and bars at which guests can mingle with locals and enjoy an aperitivo – Italian cocktail hour. If there’s spare time in the itinerary while in Rome, take a day trip to nearby Naples. About an hour-long train ride will take travelers to this incredible city, where they can fully immerse in quintessential Italy. The history of Rome spans 28 centuries. Mythology says that the city was founded by twin brothers, Romulus and Remus, before eventually evolving into the world power that was the Roman Empire. It is this long, rich history of Rome – and the one-of-a-kind artistic masterpieces, ancient ruins, and intricate architecture left behind from it – that continues to attract visitors from all over the world. Among these world-famous sites are countless additional points of interest, including ornate palaces, bustling squares, and countless churches. In terms of political power, cultural influence, and historical significance, there is no more important world power than the Roman Empire. Much of modern-day man has the Romans to thank for things like political structure, language, and advanced engineering. For over 2000 years Rome served as the center of the Roman Empire, making it an essential destination for those seeking world history and culture. As the home of the Roman Catholic Church, it comes as no surprise that church is an essential part of Roman architecture and daily life. Some of the most incredible churches to visit include The Basilica di Santa Maria Maggiore, San Giovanni in Laterano, and Santa Maria in Trastevere. Within the walls of Rome’s many churches, one will find a staggering number of artworks from some of history’s greats – including Michaelangelo, Raphael, Caravaggio, Bernini, Cavallini, and more. Rome boasts over 900 churches, each an expression of the Roman faith as well as the architectural and artistic culture of the city. The most important religious destination in Rome is Vatican City, home of St. Peter’s Square and St. Peter’s Basilica – the Pope’s residence. The smallest city-state in the world, The Vatican is a pilgrimage point for travelers of faith and a simply stunning site to see for everyone due to its historical significance and vast artistic and architectural offerings. Held within the walls of the Vatican Museums – a curated collection of art by the Popes throughout history – are some of the world’s most incredible pieces of art. From sculptures to paintings to modern day religious art, the Vatican Museums contain masterpieces unlike any other, including the famed Sistine Chapel. Rome can be very hot during the Summer months, with temperatures frequently rising above 90 degrees, and locals tend to flock to nearby beach destinations to escape the city. It is recommended that travelers visit in Spring and Fall to enjoy local life and great weather. For those who don’t mind the cold, Winter is another great time to visit. Located in the region of Tuscany is Florence, one of the most famous cities in Italy. The “Cradle of the Renaissance,” it is characterized primarily by its unique, vast, and rich artistic culture. Along with being home to Michelangelo’s famous statue of David, it is also the location of the Accademia and Uffizi art galleries – two of the world’s most important museums. From countless other museums throughout the city to the walls of local churches which boast incredible works of art, the Renaissance art movement can be seen and felt nearly everywhere in Florence. With a legendary historic center – known for its red-tiled roofs – and such landmarks as the Duomo, the Baptistery, and the famed Palazzo Vecchio, Florence is also a hub of architecture. In addition to incredible sightseeing, travelers to Florence can immerse in the local culture by shopping at local markets for artisanal products or indulging in exquisite local cuisine. Some of the most famous and decadent dishes are Florentine steak and pasta topped with ragù made from wild boar. Perfectly accompanying these dishes are a variety of traditional Tuscan wines. Day excursions to the surrounding Tuscan countryside offers a variety of exciting experiences, as well. 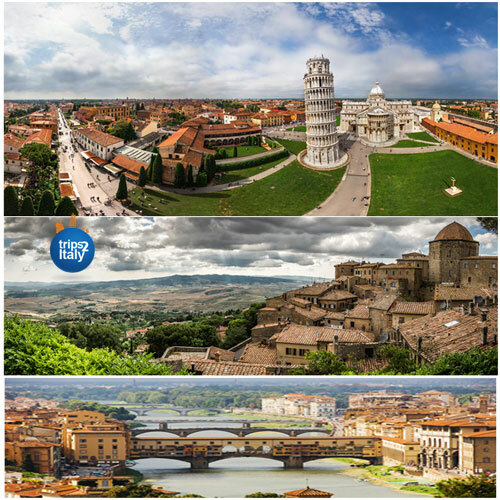 Tour Tuscan wineries, visit the leaning tower of Pisa, or simply hike the rolling Tuscan hills. Florence is an excellent destination year-round. When to travel depends on the needs and desires of the visitors. It’s often recommended to avoid Summer when possible, as tourist crowds can be overwhelming. Temperate weather and less crowds can be experienced during May and September. During Wintertime, tourism can slow quite a bit and the colder temperatures are perfect for art-focus trips which consist of browsing the indoor museums. Spring and Fall are fantastic times to visit due to the pleasant weather and reduced tourist crowds. In the region of Veneto, Venice is a truly amazing city to experience. With its labyrinth of endless canals serving as the city’s road system, there is no place in the world like it. Travelers must traverse the city either by foot or by the iconic gondolas, giving visitors a truly one-of-a-kind experience. Among being known as the city of love, Venice is also known for its architecture. 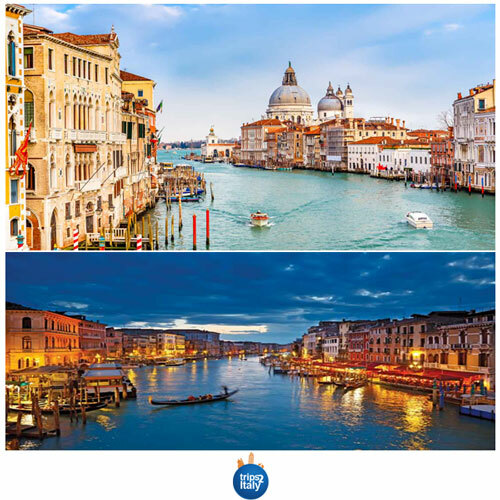 From landmarks such as St. Mark’s Cathedral in the famous St. Mark’s Square to the Doge’s Palace and the city’s amazing bridges – including the Bridge of Sighs and the Rialto Bridge – guides can take travelers on an insightful, educational journey through the city. Afterward, learn about the real Casanova who once roamed the Venetian streets. Visit the Accademia or Guggenheim museums to soak up the artistic culture of the city. Or take a boat to the surrounding islands – Murano, Burano, Torcello – to shop for artisan Murano glass or indulge in a fresh-caught seafood dinner. Venice tends to be filled with tourists year-round except for Winter, during which the temperatures become freezing cold and the high tide can cause widespread flooding. Ideally, visit during Spring and Fall, where the temperatures are not too hot and the tourist destinations are not as crowded. Known worldwide for its colorful, cliffside villages and rocky coastline, the Amalfi Coast is the region of Campania’s crown jewel. Arguably the most photographed destination in all of Italy, its natural, panoramic views are unparalleled. Paired with the local, small-town charm of its villages, these factors make the Amalfi Coast a top holiday destination choice for everyone from local Italians to celebrities. The main city in the area is Sorrento. It is a great place to stay if planning to visit other coastal towns such as Positano, Amalfi, and Ravello – featuring a treasure trove of history, boasting historic, ancient Roman villas. With the ocean nearby, travelers can enjoy a variety of water activities, including snorkeling, diving, and swimming. Ferries run from the coastline to islands such as Capri, where even more oceanic surprises await. To stay on land, travelers can enjoy hands-on cooking classes where they can learn the traditions of Italian dining. Sip locally made Limoncello – created from fresh lemons off local orchards. Shop in the village stores for locally made goods or hike the coastal pathways for photo-worthy views. Day trips can be arranged to nearby historic cities such as Naples, Pompeii, or Paestum for further exploring and discovery. To take advantage of the area’s water and beach activities, visit during Summer – June to September. It is not recommended to visit during Winter as the beautiful colors of the area’s views can be overtaken by foggy weather. For the best sightseeing experience, visit during late Spring when the temperatures are pleasant. One can hike trails such as the Path of Gods to reach great viewpoints. Tuscany is a region of Italy so famous that many believe it is a city on its own. Located in Central Italy, it offers a variety of picturesque countryside views, featuring old villages, must-see historic locales, seaside destinations, and a rustic aesthetic that sets it apart from other regions in Italy. Characterized by its lush, rolling hills, Tuscany has become the picture most think of when they consider traveling to Italy. 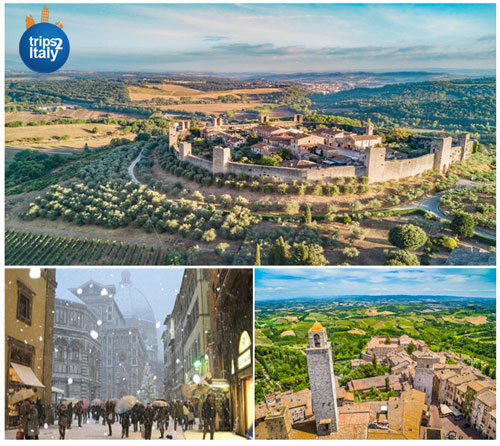 Known mostly for Florence, its capital – hailed for its rich history and art scene – the region of Tuscany offers cities such as Siena, Pisa, San Gimignano, and Lucca, which fascinatingly capture the medieval history of the region. The spirit of old-time Italy is very much alive in Tuscany, as evident in the ancient villages and in the area of Maremma – the land of traditional, Italian cowboys. Depicted often in films and literature, many tourists associate Tuscany with all of Italy, and the region does not disappoint. The rolling hills of Tuscany are unparalleled. The lush countryside acts as the perfect growing location for sprawling olive groves and vineyards. When traveling to Tuscany expect winding roads through the hills, lines of cypress trees, and views of picturesque proportions that include the occasional small farm home or medieval hill-top castle. The stunning landscape of Tuscany makes it an ideal destination for hiking, biking, or horseback riding. The rustic cuisine of Tuscany is characterized by simple, uncomplicated flavor combinations that highlight the natural goodness of the seasonal ingredients used in each dish. Foods such as Pappa al Pomodoro, pappardelle pasta al ragu, and Florentine steak are trademarks. Aside from these dishes, traditional Tuscan wines – such as bold reds like Chianti, Brunello, and Morellino – will be served. The outstanding food and wine selection in Tuscany alone is reason enough to visit. 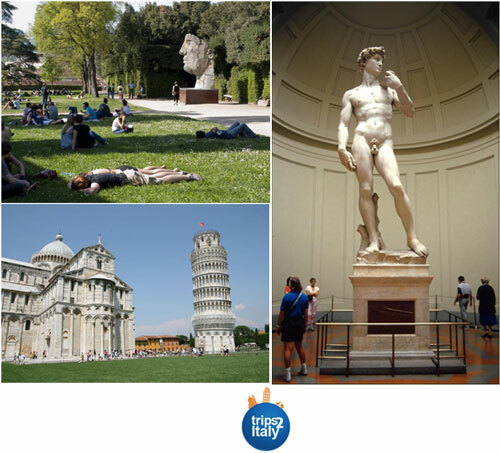 While the famous Leaning Tower and the Square of Miracles in which it stands are an UNESCO World Heritage Site and an incredible site to see, the town of Pisa is so much more than the landmark for which it is most known for. The city’s Duomo and Baptistery are equally as stunning, and the local university is one of the country’s top colleges. Pisa’s young population helps to create a local calendar filled with fun festivals and exciting celebrations, including the Luminaria di San Ranieri (Candlelight Festival) in June. When in Pisa, travelers can take guided tours of the city and climb the Leaning Tower before exploring the Piazza dei Miracoli, Piazza dei Cavalieri, or any one of the city’s variety of museums. With the Square of Miracles and Leaning Tower being such iconic destinations, travelers will be hard pressed to find a time of year without flocks of tourists. The best chance for less crowds is during the Winter months. When visiting Cinque Terre, the best way to experience the breathtaking views and natural wonders of the area is to walk or bike along the many famous hiking trails. Trails such as the infamous Blue Path – which connects the villages of Monterosso to Riomaggiore – as well as the Via dell’Amore – the love path – lead travelers to plateaus and vistas which look upon the glistening blue sea, offering once-in-a-lifetime photo opportunities. In addition to hiking, visitors can enjoy boating or sailing along the coast, exploring the villages, and dining on the local specialties – seafood, pesto, wine, and focaccia. It is not recommended to visit during the Winter and Fall, as this is the off-season and most of the hiking trails and local businesses are closed. To enjoy hiking, exploring, or sightseeing visit during April or October for mild temperatures. To enjoy beach and water activities, visit from mid-May to mid-September. While Summer will offer great views, the hot weather is not ideal to enjoy Cinque Terre’s miles of walking and endless staircases. While the island of Sicily may be a whole region, it is truly a destination on its own. It is an incredible locale whose culture has been formed over thousands of years by a mix of many different civilizations, including Greek, Arab-Norman, Roman, French, Spanish, and of course Italian. Located just off the toe of Italy’s boot, Sicily is known for its long history, unique cuisine, and gorgeous landscape. It is also a hot-spot for those looking to trace their Italian roots. In the 1800’s hordes of Sicilians immigrated to the US, meaning many Italian-Americans can trace their ancestors back to Sicily. Sicily is also known for its unique, multicultural cuisine and wine culture. Traditional Sicilian dishes include savory indulgences such as pasta alla norma and arancini (fried, stuffed rice balls) as well as sweet delights such as Sicilian granita and cannolis. The area is known for its sweet Marsala wines, making it a perfect destination for wine enthusiasts. One of the most unique features of Sicily is its landscape and geography. As an island it boasts miles of coastline, but it is also home to lush forests, a paradise-like archipelago called the Aeolian Islands, and two impressive volcanoes – Mt. Etna and Stromboli. Palermo is the heart of Sicily. Considered to be the crossroads of civilization, it represents the fusion of the many cultures which created the region. Its long, multifaceted history, bustling markets, and unbelievable architecture makes it a must-see destination in Sicily. Located in the center of the Mediterranean, the climate in Sicily is moderate throughout the year with wet Winters and dry Summers. Most travel to Sicily occurs during their long summer, which lasts from May to September – perfect for enjoying the island’s beaches. In the Northern region of Lombardy, Lake Como offers a tranquil, enchanting setting with its gorgeous lake views, elegant villas, and lush gardens. The feel of the area is light, airy, and artistic, almost as if out of a storybook. The backdrop of staggering mountains against the calm waters of the lake simply add to the picturesque views of towns such as Como, Bellagio, Varenna, and Cernobbio. While visiting the lake, stay in Como and explore the abundant surroundings which include stunning villas, an enchanting Cathedral, and numerous historic sites. Shop the local boutiques for high-quality jewelry, handicrafts, silk products, and housewares. Enjoy amazing views from a lakeside café while sipping coffee or enjoying gelato. Each season at Lake Como offers something different and beautiful. During Spring, expect floral blooms and lush vegetation. In Summer, experience the vivacity of the lake at its peak. During Fall, admire the changing colors of the falling leaves from trees that surround the lake. In Winter, gaze upon the snowcapped peaks of the surrounding mountain ranges, but be aware that many local businesses may be closed. Located not far from Lake Como in Lombardy, Milan is an essential hub for modern day Italy. It is a mecca for finance, business, and of course fashion. However, it still offers a variety of recognizable architectural landmarks as well, including its Gothic Duomo, the Grand Galleria Vittorio Emanuele II, the Sforza Castle, and Teatro alla Scala. While in Milan, enjoy the historic buildings as well as the city’s vast art collection – including Da Vinci’s prized masterpiece, The Last Supper. Travelers with a passion for art and fashion can visit the neighborhoods of Brera and Quadrilatero della Moda, both of which encapsulate the artistic side of Milan. Shopping is an essential activity in Milan, as it is home to some of the world’s greatest fashion houses. From high-end designer boutiques to locally made handicrafts, take home a souvenir from the world’s fashion capital. As one of Italy’s most important modern cities, Milan is a year-round destination. While Summer can be hot and humid, that doesn’t stop tourists from all over the world from visiting. Spring and Fall offer more ideal, moderate temperatures. During Winter, Milan is a great destination for Christmas vacation, as the city becomes very festive with light displays and lit-up monuments. 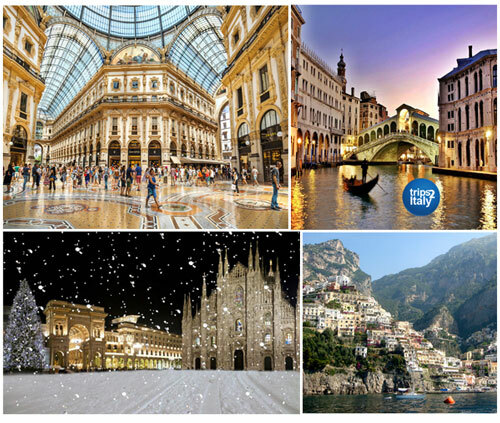 Copyright © Trips 2 Italy,LLC 2003—2019. All Rights Reserved.